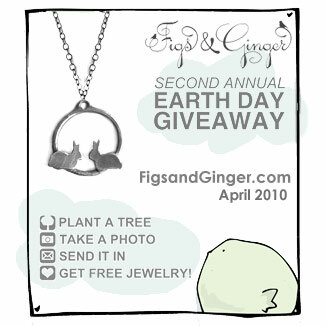 Today we finally got a chance to go and pick up a tree to plant for the Figs & Ginger Earth Day Giveaway. 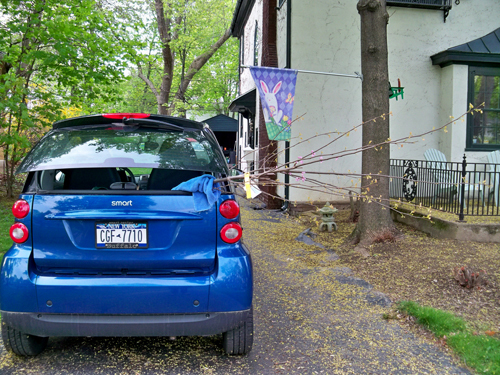 Yes, we drove all the way home with the tree poking out the back of the Smart Car. Aaron planted it in the front yard. I was the supervisor. Our first tree at the new house! 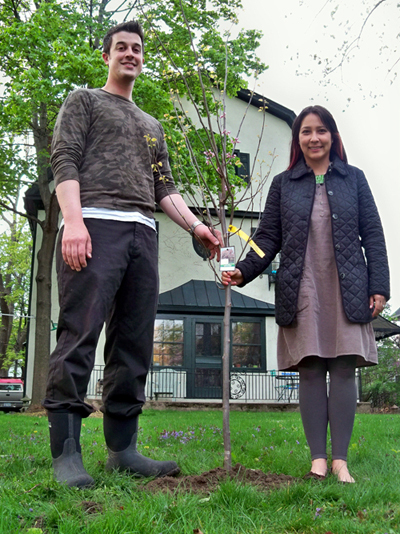 What type of tree did you plant? It's called a Red Bud - it gets bright pink flowers up and down it's branches before the leaves come out in spring. cute! my parents joined the arbor day foundation just to get the free tees! I love you new place. 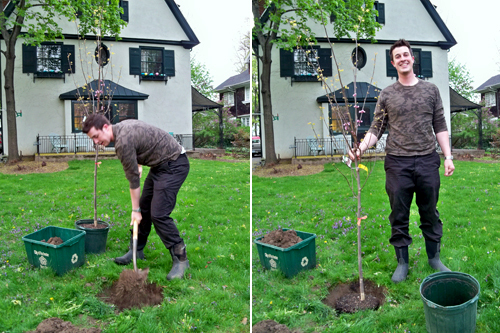 Planting a tree and see it grow sounds so nice. I'm happy for both of you! Very pretty! And I'm impressed you got that home in a Smart Car! LOVE that it has pink on it already! Lisa-Marie : I was very nervous driving the tree home! I wish Oscar could take pictures! : ) I had the camera on a bucket. Michele - I picked it because it has a little bit of flowers on it already.